One of the main reasons you bought your Wrangler JL was to experience the wonders of going off-road. When crawling over rocks you need to make sure that you have the proper protection for your Jeep. 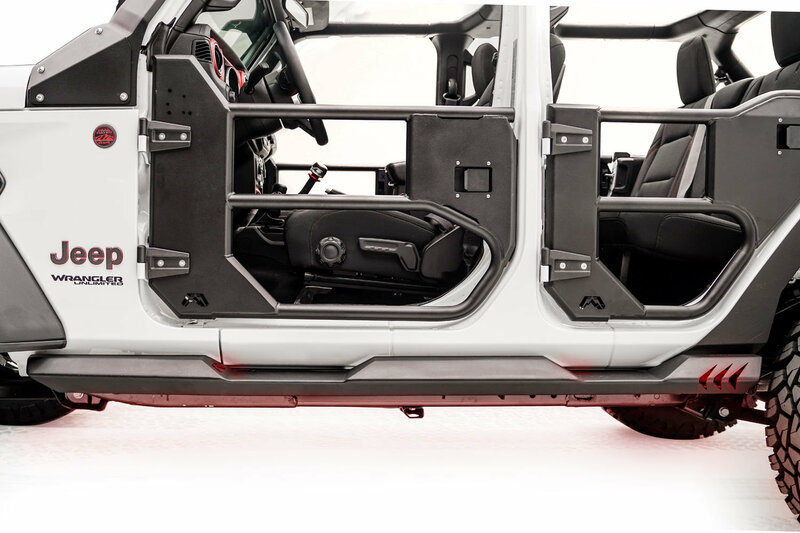 Fab Fours Light Rock Sliders are unique as in not only do they give you quality protection but also offer a rock light option giving you wheel to wheel light coverage. Not only do they act as a rock slider but they also can be used as a side step with their notched in footing area to help you in and out of your Jeep. Rock Lights not included. 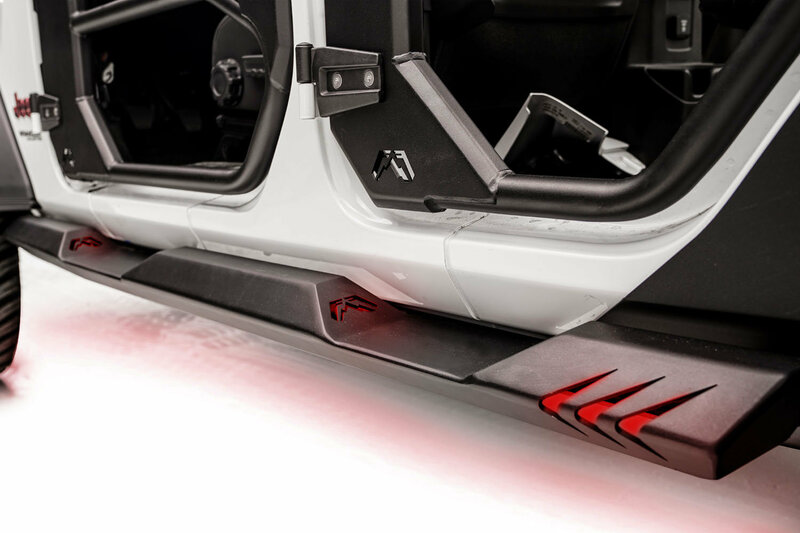 Design: With an aggressive design these sliders will make you Jeep stand out from the crowd as you take on the unforgiving rocky trails. 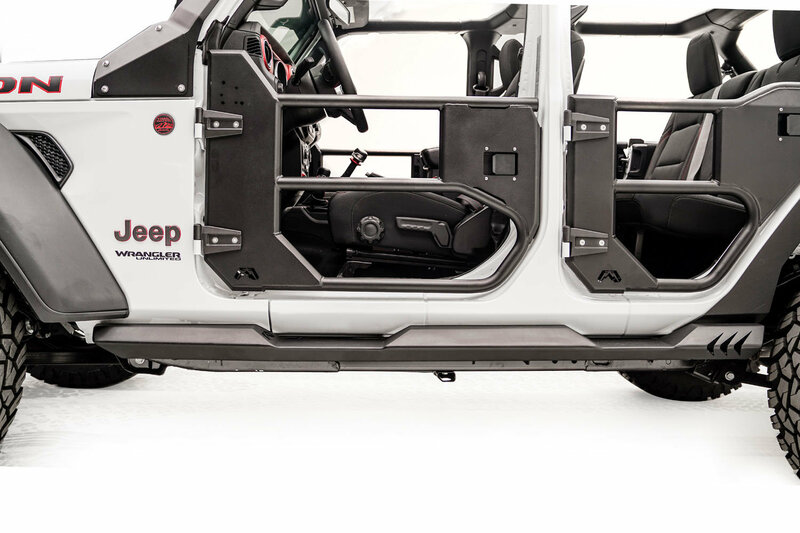 Made to help you Jeep slide over rocky terrains so you do not get hung up on the rocks. 3 rock light cut outs will give you or your spotter a better view of what is underneath your JL so you can make the proper adjustments. Construction: Like all Fab Fours products these sliders are built to last. Made from 11 gauge steel that then goes through a 2 stage matte black powder coat to prevent corrosion these sliders will hold up to the rugged outdoors while looking great too. Installation: All hardware is provided to make installing your new sliders easy and get you back on the trails enjoying the off-road in no time.